Mesotherapy treatments involve injecting small amounts of Hyaluronic Acid blends directly into the mesoderm (middle layer of the skin). By injecting this into the skin, it rejuvenates and refreshes the skin by promoting the production of collagen and elastin and stimulates your skin’s metabolism. We apply local anaesthetic cream approximately 15 minutes prior to the mesotherapy treatment so you will experience no pain or discomfort. There may be some superficial swelling, redness and signs of tiny needle marks after treatment which will settle in 24-48 hours. This may take a little longer around the eye area so you may need a little recovery time. Treatments are carried out every 1-2 weeks depending upon the area being treated. Single treatments do not give lasting results. 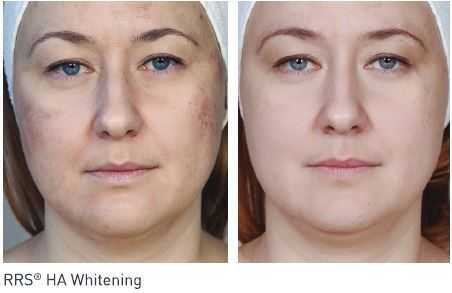 Mesotherapy can be used to treat or improve a wide range of conditions including skin hydration, dull skin, ageing skin, loose skin, skin pigmentation, hair loss, stretch marks, cellulite, fine lines, wrinkles and puffiness or dark circles around the eyes. 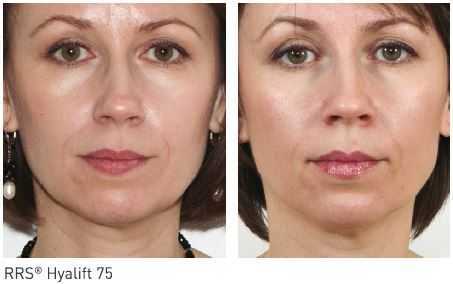 For optimum results, we recommend a course of 6 mesotherapy treatments. Once you complete the recommended course, the results can last 12 months. 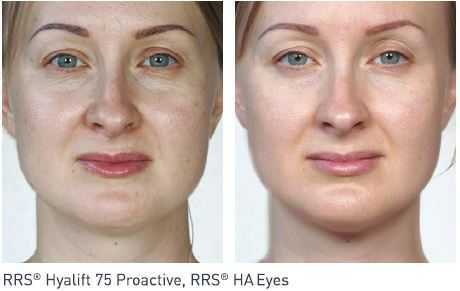 Prices start from £100 for a single session RSS Eye treatment. Please contact the clinic for more information. We use RRS biorevitalisation blends containing hyaluronic acid, organic silicium and other bioactive ingredients such as antioxidants, repair enzymes, peptides, amino acids, plant based botulinum toxin A and SNAP 8. There are a range of 14 products increase skin firmness, elasticity and radiance. 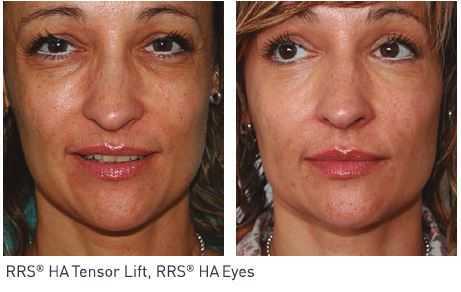 We use RRS, a Hyaluronic Acid which is the purest hyaluronic acid for mesotherapy. Hyaluronic acid is naturally found in the skin and depletes as we get older. It is completely safe to inject into the mesoderm and provides a very effective rejuvenation treatment. After treatment, wear SPF, avid extreme temperatures such as sauna, jacuzzi, sunbeds and direct sunlight. Avoid make-up on the day of the treatment. You will experience some superficial swelling, which will settle within 24-48 hours. Although rare, other possible side effects include the appearance of some small needle marks which will also resolve within a few days. Treatment around the eye area may take longer to settle – possibly 5-7 days. 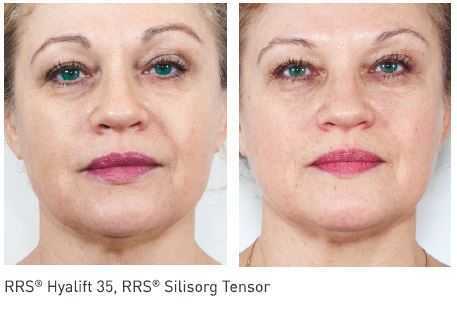 CAN I COMBINE OTHER ANTI-AGEING TREATMENTS WITH MESOTHERAPY? 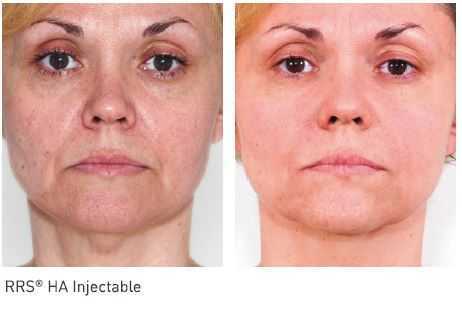 Mesotherapy can be used with other rejuvenation treatments such as ultherapy, laser treatments, radiofrequency treatments, anti-wrinkle injections, dermal fillers and PRP therapy.